Who is Adam and Michelle Carey? Adam and Michelle Carey from adamandmichellecarey.com are a young dynamic couple who quit their full time jobs thanks to network marketing. This dynamic duo is also only the second guest who has appeared on MLM Nation more than once. They gave an amazing training on episode 86. Adam is also the only MLM leader that has been on MLM Nation 3 times! In addition to episode 86, Adam was the guest host and interviewed me on our anniversary 2 hour marathon episode in show 157. 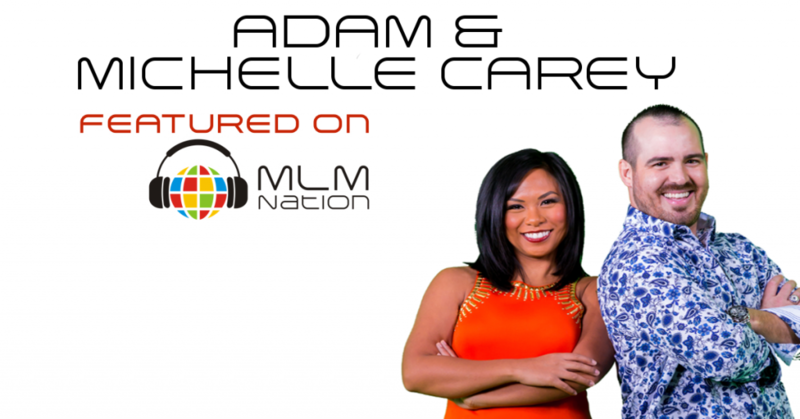 One of the things that helped Adam and Michelle become successful is their cold market recruiting skills and that’s why they’re on MLM Nation as repeat guest. They’re superstars with the cold market and can go anywhere anytime and get people interested and get phone numbers. On today’s show, we’re going to focus heavily on tips so that you can improve on your cold market recruiting.